Athletic Republic delivers on-field success through scientifically-based performance training protocols that help athletes learn to move better, get faster, stronger and more powerful, while tailoring their conditioning in the best possible manner for their sport. This is the essence of what many experts call "neuromuscular training" and we have pioneered its development through 25 years of research and commitment to sport science principles. We hold six patents and 4,000+ pages of proprietary speed and skill-specific training protocols that meet the demands of every sport and athlete. Athletic Republic training programs create faster, stronger, more explosive athletes who are able to play at game speed for longer and with fewer injuries. Our performance improvements are documented and proven. 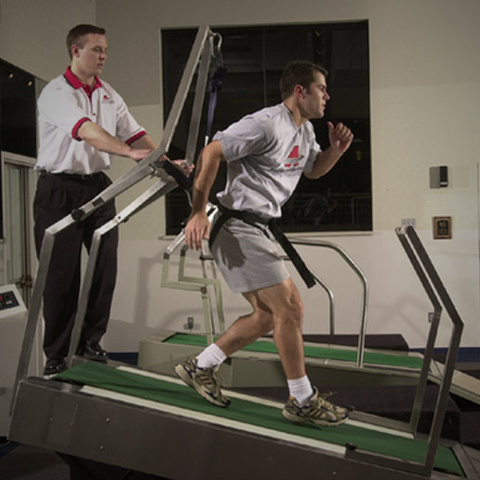 At Athletic Republic, we improve your running mechanics. We improve your stride length and frequency, knee drive, hip positioning and your arm swing. Acceleration Training will make you fluid and efficient, far more powerful and better conditioned than your opponents. Improve speed, increase total body strength, increase endurance, improve flexibility, improve self-confidence and much more. Athletic Republic’s Acceleration Sports Training Protocols cater to the individual needs of each athlete’s sport & position. 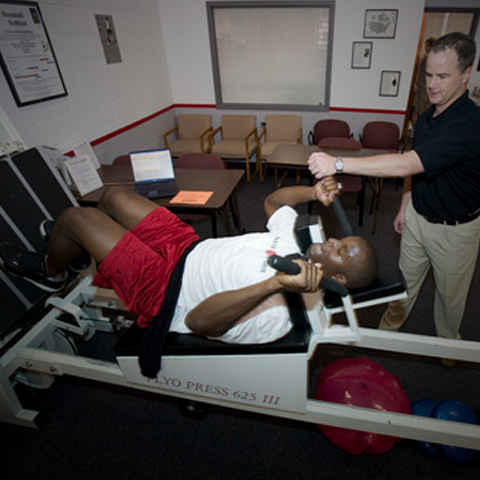 Our weight training program is designed specifically for each athlete’s sport, training age, gender, and imbalances. The foundation of our program is to build a more injury resistant athlete. As a result, we spend a lot of time developing decelerating musculature and healthy joints such as hips, knees and shoulders. Additional considerations include: energy systems, movement patterns, primary as well as secondary movers, hypertrophy, strength, power, and endurance. We emphasize bodyweight movements and techniques, using everything from free weights and kettle bells to bands and boxes. This is not your local sweat shop. Our athletes are under the watchful eye of an instructor to ensure they are being taught the right way to push themselves. We offer sport-specific training along with conditioning / speed training on the field, as well as teaching proper technique, and build muscle, strength, and power in the weight room. We schedule on going meetings with each head coach to schedule training, update goals, and create our training cycles. We work hard to create a family atmosphere by earning the trust, and respect of each athlete and coach we come in contact with. Our approach is founded on offering individualized team training programs specifically tailored around the time of year (off-season, pre-season and in-season). Our staff will develop a training plan combining your coaching staff’s assessment of your team’s immediate needs, coupled with our proven, sport-specific protocols so that your team’s athletes can focus on the specific elements of their game to improve their playmaking skills. We understand each individual is different in terms of goals, needs, and athletic ability. Athletic Republic’s private training sessions cater to athletes and adults searching for the ultimate, customized program and one-on-one attention in areas of speed and power development, sports specific training, general fitness, and nutrition. Succeeding in the goals you have set for yourself requires dedication, continual feedback, and our training expertise. 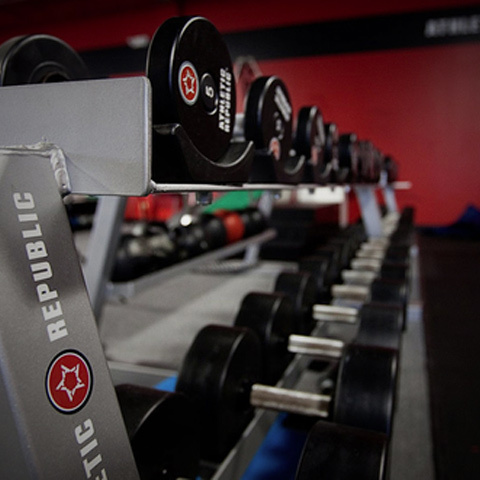 Combining Athletic Republic’s specialized training equipment, science proven training protocols, and years of experience our staff will transform athleticism and overall well being. Are we satisfied? NEVER. We’re always working on better ways to develop new training technology that enhances our protocols. Our combination of experience and on-going research guarantees enhanced athletic performance—at any age and ability. We offer programs such as injury transition and recovery training, sports nutrition, sensory training, combine training, cord training and much more.